Hanyu Pinyin, also called Chinese Pinyin is a way to learn the Chinese letters and annunciation of words in Chinese. Pinyin or Pin Yin is the phonetic spelling of Chinese words. It means “spelled out.” Pin means “spelling. Yin means “sounding.” It is the phonetics to the Roman script or Chinese Mandarin. So, before you can speak Chinese Mandarin, you need to learn Pinyin. If you are serious about learning Chinese, you should be serious about learning Pinyin as well. After all, Pinyin is the basis for the Chinese language, and if you annunciate improperly while learning Pinyin, you might not be able to annunciate the words correctly in Chinese Mandarin. Learning Pinyin is an essential first step in learning Mandarin. These Pinyin courses are designed to give you the best way to learn Chinese Pinyin. The sessions provided offer you step by step instructions in learning Chinese Pinyin. It has been called a crash Pinyin course. If you already know some Chinese Pinyin, you can use the Pinyin course as a review. Again, it is the best way to learn Chinese Pinyin. The crash course in Pinyin is for logical thinking type of people. The course is designed primarily for those who can and will think logically. These Pinyin classes will help you learn to pronounce Chinese Mandarin words. If you are a teacher or parent trying to help a child learn the Chinese language, then this course can help you teach the children Chinese Mandarin. If you have never spoken a word of Chinese before, it is okay to start with Lesson One of the Pinyin courses. Lesson One of the Pinyin classes will take you through all the necessary steps in pronouncing Chinese Mandarin words correctly. The Level One Lessons for the Pinyin classes gradually introduce you to the Chinese Mandarin Language. After Level One you go on to each level’s lessons, and you take them at your pace. A test does not follow each lesson. However, at the end of the levels, you will have the opportunity to take the level 21 test. The level 21 test is a complete test. It will take you back to day one and go over everything you learned in the 21-day course for Pinyin. The top-down approach to learning Pinyin is the most useful way to learn Pinyin. The Pinyin courses will teach you everything you need to know. 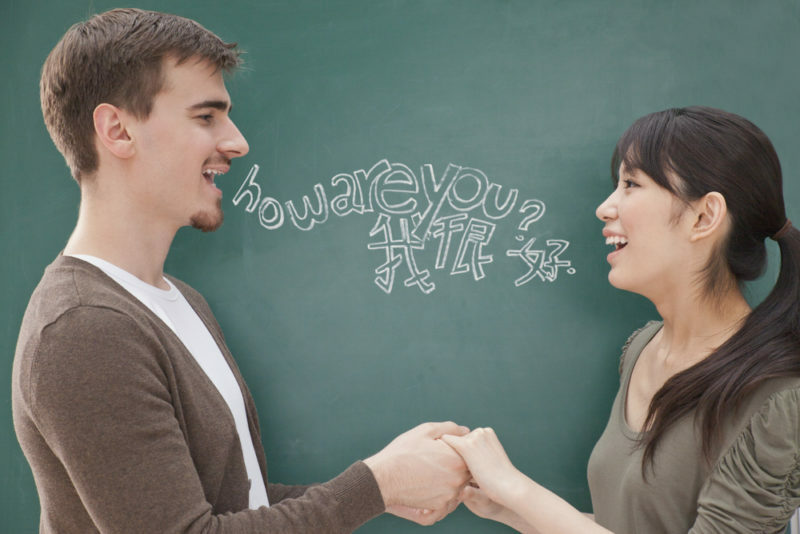 These courses from start to finish are designed to help you learn Pinyin. Which Pinyin is a start to learning the Chinese Mandarin language. When you properly learn Pinyin, you are showing that you will not have a problem learning Chinese Mandarin. If you develop an annunciation problem with the Pinyin, it is best to correct it while still learning Pinyin. Otherwise, it will not be fixed and learning Mandarin will become difficult for you. The course is designed only in a podcast format. If you would like it in a written form, there is no way you will be able to take this Pinyin course. Even the test for day 21 is in podcast format. We found it to be the best way to learn Chinese Pinyin is for you to listen to the podcasts as opposed to reading the words on the screen. Go to your phone, tablet, PC, or laptop and open each lesson. The lessons will allow you to hear each letter as it is supposed to be annunciated. If you do not understand the words annunciated, you might develop a pronunciation problem. Pronunciation problems are challengin to correct later on. You will be learning the initials of the alphabet. You will also be learning the tones of the language. Also, you will review the finals, the rules of the sounds, and the spelling rules. When you take your test, you will be prepared to take it and pass with flying colors. Mastering Pinyin is a must. If you are going to express yourself in the Chinese language adequately, you must first learn Pinyin. Without learning Pinyin and mastering it, you can be lost in the Chinese language. It is advisable first to master Pinyin if you are going to learn the Chinese language. Getting to know Pinyin is not a challenging course. Getting to know Pinyin is essential to learn the correct way to say things in Chinese. These sounds and spelling rules are meant for you to discover. However, if you do not master the Pinyin part of the Chinese language, you could develop an issue that might be a challenge to correct later on. It is recommended to start with level one lesson and go through all level lessons before moving on to learn the Chinese Mandarin language. If you have already taken the Pinyin crash course and mastered it, congratulations. We are hoping that you enjoyed the crash course to learning Pinyin. After all, it is an essential course in learning the Chinese Mandarin language. These courses were designed so that even young children can learn Pinyin. Moving on to the Chinese language is next. You might be wondering, is there a cost to learning the Pinyin crash course? Of course, there is no cost to learning the Pinyin crash course. These classes are for anyone who is interested in learning the Pinyin language skills so that they can learn Mandarin much easier. When you take the crash course in Pinyin, you are taking the initiative to learn Chinese Mandarin. Are you planning a trip to China anytime soon? You might want to consider learning the Pinyin crash course as part of your planning for the trip. Anyone can learn these courses. Download the crash course for Pinyin today; you will not be sorry you did. If you are planning a trip to China and do not yet know Chinese Mandarin, it might be a good idea to learn a few words in Chinese Mandarin before going to China. It starts with learning how to properly annunciate the letters and words of the Chinese Mandarin Language. Regardless, if you are a beginner or intermediate student of the Chinese Mandarin language, you can benefit from the crash course in Pinyin. The course was not designed only for those who have no prior skills in Chinese Mandarin. These courses were created for anyone who would like to learn the basics of the Chinese language. These courses are for anyone who would like to learn or needs help in teaching the Chinese Mandarin language. If you are a teacher, you can use the crash course in Pinyin to assist you in training your students the basics of Chinese.